Sean “Puffy” Combs, also known as P. Diddy or Diddy, is a hip-hop performer, producer and businessman known for hit records, a clothing line, movie roles and occasional gossip column appearances. Combs had early training working for record companies before setting off on his own with Bad Boy Entertainment. Together with the late rapper Notorious B.I.G., Combs (performing as Puff Daddy) popularized the east coast sound of American hip-hop. In 1997 Puff Daddy sampled the Police song “Every Breath You Take” for his song “Missing You,” a tribute to the Notorious B.I.G. and a huge commercial hit. His solo album No Way Out was a Grammy-winning success, and Combs earned a reputation as an astute workhorse and jack-of-all-trades in the recording industry. His list of musical collaborations includes a who’s who of top artists such as Mariah Carey, Missy Elliott, Usher and David Bowie. As an actor, Combs has appeared in the feature film Monster’s Ball (2001, with Halle Barry and Billy Bob Thorton, and the Broadway play A Raisin in the Sun (2004). In 2001 Combs announced that he was changing his nickname from Puff Daddy to P. Diddy, earning him comparisons to fellow name-changing musician Prince… His romance with singer/actress Jennifer Lopez was closely followed in gossip columns; the two broke up in 2001. That same year Combs went on trial for weapons charges stemming from a 1999 Manhattan nightclub shooting in which three people were injured; at trial’s end he was acquitted of all charges… In 2005 Combs announced that he was again changing his name, settling on simply Diddy. Do you want to hire Sean Combs? Directly request a quote. In 48 hours we can send you the availability of Sean Combs If you would like to book Sean Combs, Entertainment Booking Agency is the right place. 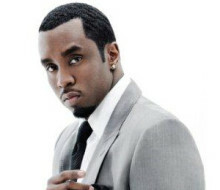 We will offer you the best price and contact the management or we directly contact Sean Combs. For corporate appearances or speaking engagements you can contact our agents and the will help you true the process. Tags: hire Sean Combs, Sean Combs booking, book Sean Combs, Sean Combs appearances, find more information on booking Sean Combs for appearances, Sean Combs speaking engagements, Sean Combs endorsements/spokesperson, Sean Combs appearance fees, Sean Combs booking agency contact info, biography of Sean Combs, Contact an artist booking talent agent find a speakers bureau that can book Sean Combs, speaker booking agency for Sean Combs, Sean Combs booking agency, Sean Combs booking for corporate event. EBA is one of the biggest entertainment booking agencies in the World. We book hundreds of celebrities, artist, athletes and speakers in a year. Important to know is that we are not claiming to be the management of Sean Combs. We are not the official agent for Sean Combs. Companies from around the globe book these artists and speakers true our company be course we have one of the biggest networks and we always have direct contact with the artist or the management. We help you to find the right celebrities for your corporate of private events. Please contact one of our agents to get free advice and we will help to get the world-famous artist on your party.